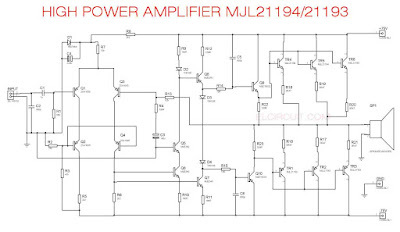 High-power amplifier circuit using a pair final transistors MJL21194 and MJL21193, where diagonal transistors are recommended for the use of power amplifiers with high-power audio power, and linear applications. Just right as follows the high power amplifier diagram. Has been mentioned above, this power circuit using a pair of MJL transistors, these transistors are often used as equations with transistors 2sc5200/ 2sa1216. But by using the MJL series, the power output is greater and the maximum voltage is superior. The power output for this Transistor is up to 200Watts with a maximum voltage of 250Volts. 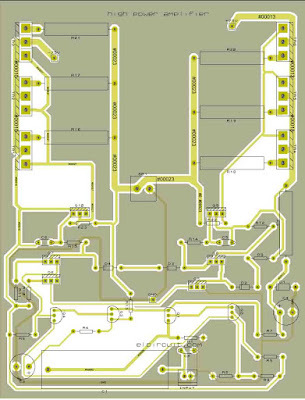 In the circuit scheme, using 3 pairs of transistors final. 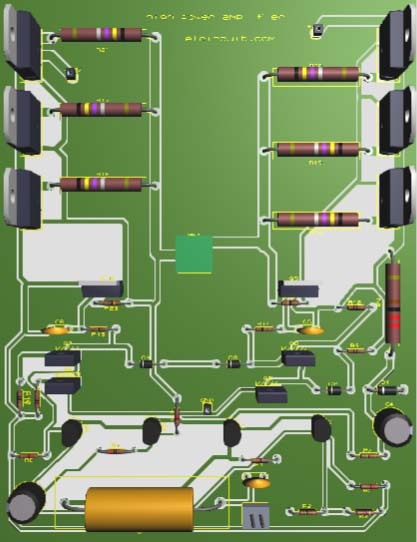 So it has a maximum output power of up to 600Watt, with DC supply voltage 95Volt, using a transformer with an ampere rating of at least 15A-20A. 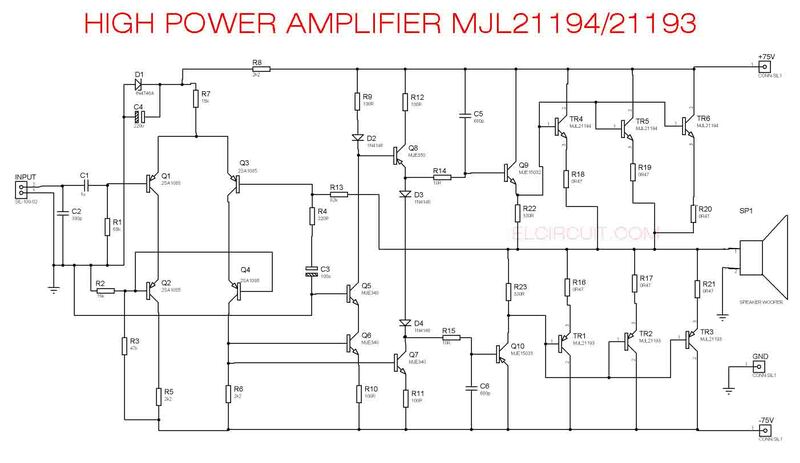 Dare try to assemble this amplifier? 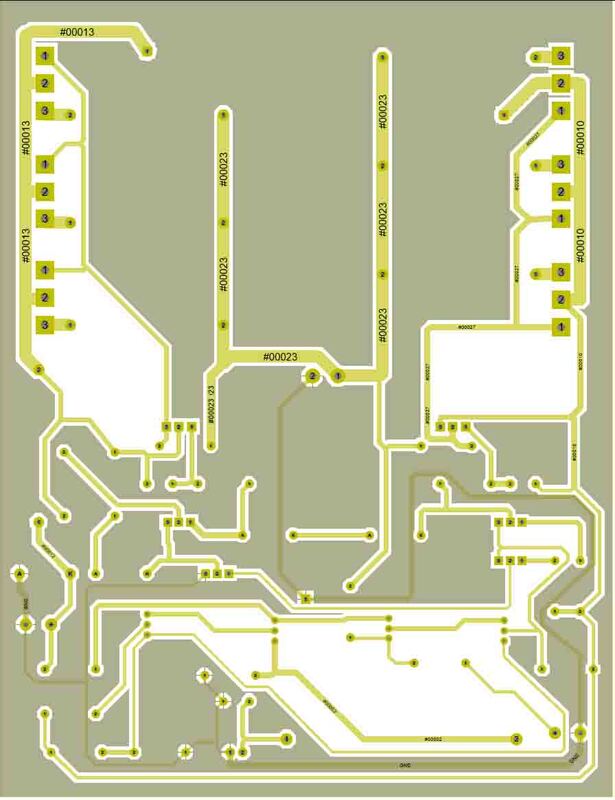 I am ready to share PCB Layout for you, making it easier to put on your PCB.